The Senate President, Bukola Saraki, said former President Goodluck Jonathan was never desperate for power, but got there by providence. He stated this on Thursday in Abuja at the unveiling of a book - “On a Platter of Gold: How Jonathan won and lost Nigeria,“ written by the National Publicity Secretary of APC, Bolaji Abudullahi. “They will get an offer to bring in a cargo of 20,000 litres they will bring in 5,000 litres but stamped it for 20,000 litres and instead of making 10 percent; they make ten times the amount. I was telling the President thinking the President will get very agitated, but he only said, ‘Senator Saraki, you know this oil business is very oily'." The Senate President said he was stunned. 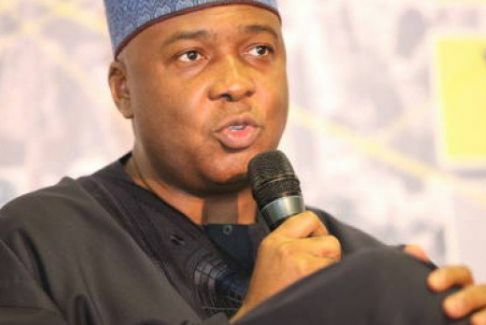 Saraki, however, conceded that that was the kind of person the then President was.